Alba offers a full livery service for horse owners. 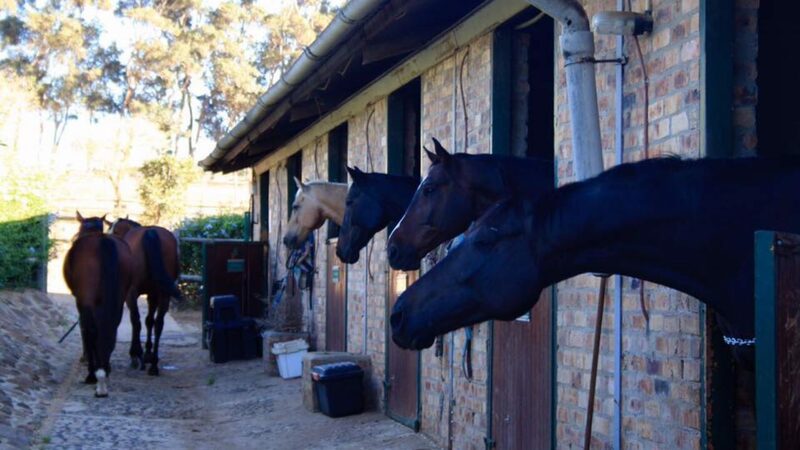 Horse’s sleep in stables at night and are turned out during the day in individual paddocks, small group paddocks or herd paddocks to accommodate all your horses needs. Alba has the most breathtaking views of Durbanville and its surrounds from our outrides in both the neighboring field as well as access to Meerendal Wine Farm.